A one way trip down Hilarity St. I have encountered a lot of discussion in online forums and through talking with Star Wars fans. What is it that makes the prequels different from the original Star Wars movies? I think I have figured it out. 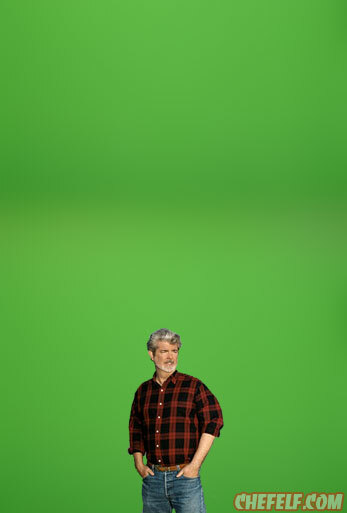 Remember that great picture of George Lucas surrounded by his creations? 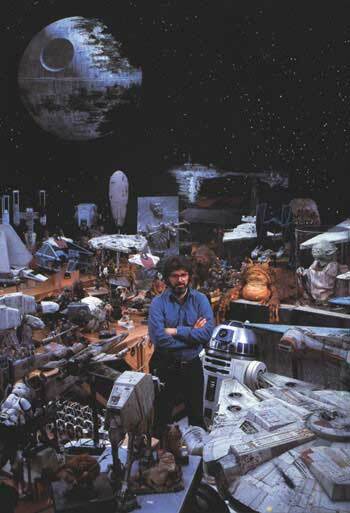 The models and puppets designed for the original Star Wars surrounded their proud creator. It was a truly great shot. I have taken the liberty of updating this famous picture for the 2005 release of Revenge of the Sith. I think this juxtaposition speaks for itself*. Can you spot all the models and creatures from the original trilogy? Scroll down for the answers! Can you spot all the models and creatures from the prequel trilogy? Scroll down for the answers! *George Lucas likes to do things on computers now, you see.